I always look forward to the new releases every month and I have been playing with them already! September's new release will be available on the 16th and there is going to be another awesome blog hop, with prizes! So don't forget to come back and join in the fun!!! This gorgeous stamp is Cat Chasing Mice, I love cats so I thought this was to cute! 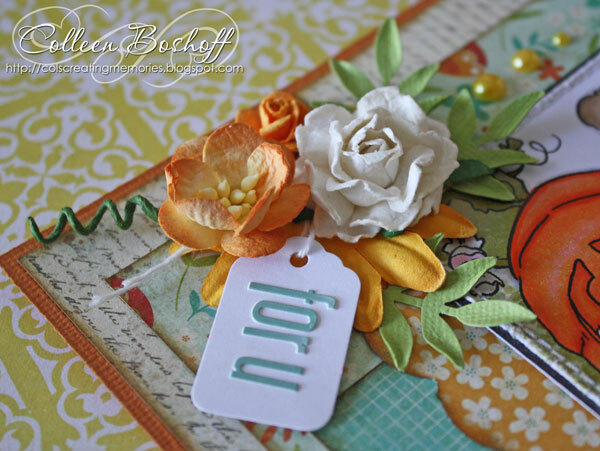 The papers are MME Stell & Rose - Mabel Papers, using up some of my stash! Flowers are Wild Orchid and Kaisercraft, tag form my stash, Kaisercraft pearls and I have coloured the adorable image with Copics. 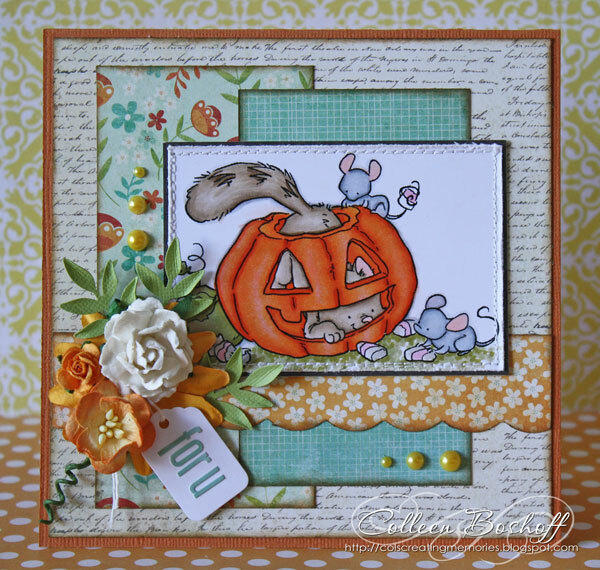 There are more previews today by my awesome team mates, so pop on over to their blogs! 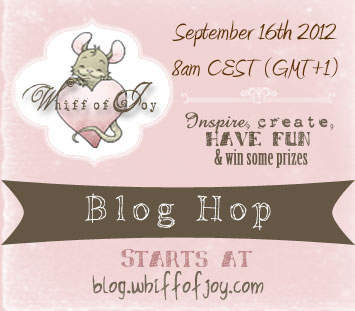 Don't forget about the blog hop and keep an eye out for more sneak peeks!!! Thank you for stopping by and for your lovely comments! Great card Colleen, lovely papers and beautiful colouring with your Copics!! Sweet image, thats a very ncie card!